VICOM has announced the new generation 2700 Series of audio test and measurement instruments, from Audio Precision. The 2700 Series instruments are based on the System Two Cascade and Cascade Plus and are fully compatible with Audio Precision's broad line of accessories, options and filters originally designed for System Two instruments. These new instruments are solutions for test and measurement of 192k-based converters and devices. 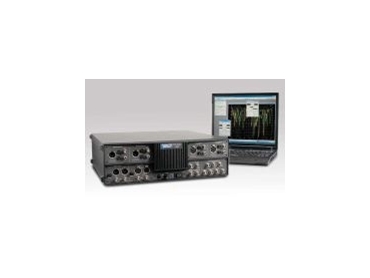 The 192k 2700 Series instruments provide up to 100kHz-bandwidth digital signal and up to 200kHz-bandwidth analogue signal generation and analysis as well as single connector digital connectivity. Most new analogue-digital converter designs use a 192kHz-sample rate and many also specify a 24-bit dynamic range. Many new audio devices now specify 192k/24-bit quality in order to take advantage of these high-performance converters. The 2700 Series analyser instrument can characterise these devices to 192k/24-bit quality. The Audio Precision 2700 instruments (and their predecessors the System Two Cascade and Cascade Plus) are unique in generating and analysing analogue signals in their native domain without employing converters. This assures a performance exceeding the best converters available. All four ports, analog and digital generation and analysis can handle the full 192k/24-bit performance. In addition to 192k capabilities, the 2700 series instruments also come with enhanced control software.